Share your work of art with family and friends for the holidays!! Our designs are some of the best in Utah. We have many designs to choose from plus we do all the design and finishing work right hear at our studio in Sandy Utah, so your Holiday cards are perfect and ready to send out. You can pick one sided greeting cards or the press printed 2 sided cards. Our press printed image cards have a unique finish and you can pick from a variety of paper as well as having pictures on both sides. 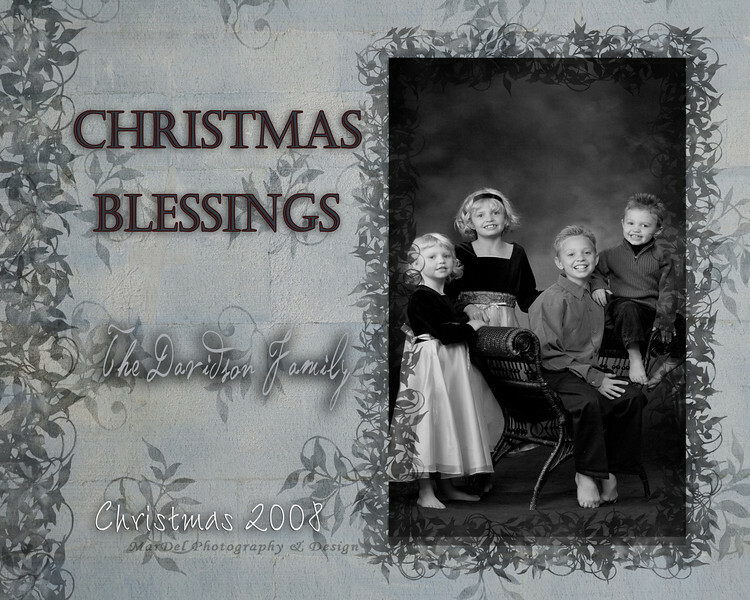 What better way to send holiday wishes than with a portrait of your family. You are guaranteed to have the best Christmas Card.